As a Physics Groupie on the prowl, I’m always looking for good public lectures to attend. Fortunately, there’s plenty happening here in L.A. with Caltech and UCLA. Last week, Zoe alerted me to an evening lecture over at Caltech’s new Cahill Astrophysics building. The subject was “The Human and Scientific Tale of Galileo” presented by Professor Alberto Righini of the University of Firenze. We headed over to Pasadena with high expectations. When we arrived at the high-tech Hameetman Auditorium the hall was nearly full of science enthusiasts from all walks of life including a few children. An event organizer was busy passing out little orange raffle tickets for some unknown prize to be awarded at the end of the session. Professor Righini was a stately, older gentleman with a thick Italian accent who on occasion needed to draw upon the expertise of his translator sitting in the front row. He presented a cogent talk that ranged from the scientific accomplishments of an exceptional scientist to the personal limitations and flaws of a man, bringing to life an extraordinary person who had the courage to champion reason in the face of persecution. 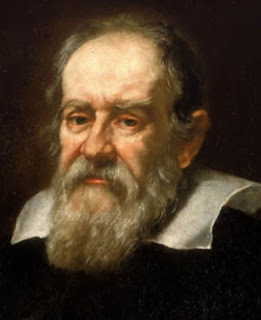 He also touched on the political, cultural and religious environment existing at the time of Galileo’s birth, his formative years in Pisa and Firenze, and his tenure at the University Padova. The event also included taped performances of actors doing readings from Galileo’s work and image from his life and times. The event was part of the International Year of Astronomy 2009 in celebration of Galileo’s first use of the telescope. It was a wonderful way to spend an evening with like-minded science people in tribute to mankind’s most famous astronomer. As Zoe and I walked from the event, I commented how great it is to have such ready access to Caltech for science education. Oh yes, the raffle prize for the evening was a Galileoscope, how fitting!